Susan Corbett is a life coach that helps people create remarkable personal and professional lives. She is insightful, thoughtful, polished and practiced. 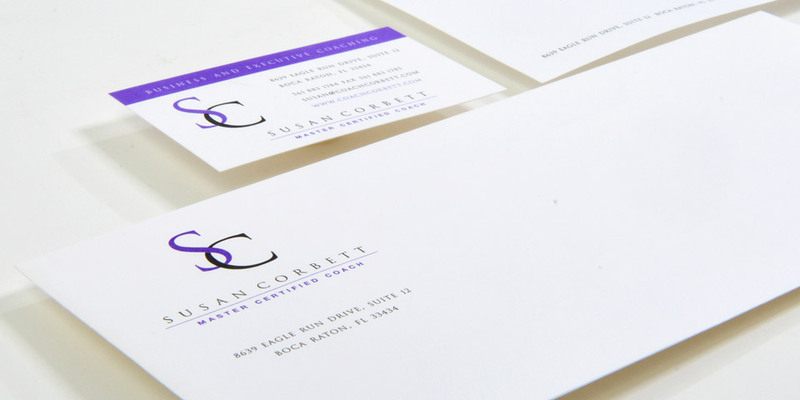 She wanted a business card and corporate identity package that captured these traits. We developed a number of conceptual approaches for her and finalized a look that she was proud to call her own. Are you a large, multi-national firm? Small business? Start up? Independent consultant? Chances are, we’ve had a client just like you. We understand that no matter how big or small you are, your marketing challenges are critically important.